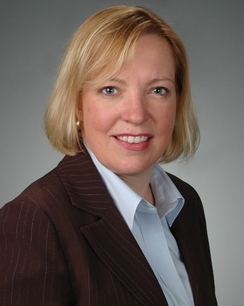 Laura McKay has represented insurers in litigation and alternative dispute resolution for over twenty years. She has represented Underwriters at Lloyd’s, London, foreign insurance companies and U.S. insurance companies in both state and federal courts throughout the country. Laura has represented clients in a wide variety of disputes involving first-party and third-party coverage issues. Laura’s trial experience includes a recent asbestos coverage action in an alternative dispute resolution proceeding with policy limits of over $100 million at issue. Prior to that, she served as trial counsel in an asbestos coverage action tried over two years in New Jersey state court which resulted in a favorable ruling on all issues for London Insurers. Additionally, Laura has served as trial counsel in an Adversary Proceeding in Florida bankruptcy court. Laura also has served as appellate counsel in a number of cases and most recently argued against ExxonMobil’s appeal from summary judgment in favor of London Insurers in New York state court. She has successfully secured dismissals prior to trial for her clients in a number of cases, and has served as settlement counsel in numerous actions involving amounts ranging from the low thousands to hundreds of millions of dollars. Laura has represented insurers in connection with professional liability and medical expense subrogation matters. Additionally, she has direct defense experience in medical malpractice, personal injury and first party property matters. She is also involved in franchisor/franchisee matters, including trademark infringement and third-party liability. In 1998, Laura spent four months in London on an internship with one of her London clients. She worked closely with the claims department and provided legal advice regarding asbestos and health hazard insurance coverage matters. Speaker, November 2005 Mealey’s All Sums: Reallocation and Settlement Credits Conference. Co-author, "Pleadings, Motions and Third-Party Practice," chapter of Illinois Institute of Continuing Legal Education Handbook for Illinois Product Liability Practice (1996). Excess Coverage: Issues Confronting Insureds and Excess Insurers in Large-Scale, Long-Tail Claims.